Jamie C. Bales, M.D., a board-certified neurologist, is the founder of Neurology Specialists. Prior to relocating to Bloomington and starting Neurology Specialists, Dr. Bales practiced neurology in Indianapolis. For eight years, Dr. Bales was a partner/neurologist at Indiana Neurology Associates in Indianapolis. A native Hoosier, Dr. Bales received her medical degree from Indiana University School of Medicine. In 1995, she completed her neurology residency at Indiana University Medical Center in Indianapolis. She received her bachelor’s degree in chemistry at Hanover College in Hanover, Indiana, in 1987. Other physicians have recognized Dr. Bales’ dedication to neurology and patient care. In March 2001, she was selected as one of Indianapolis Monthly’s “Top Doctors” in Indianapolis as recognized by her peers. 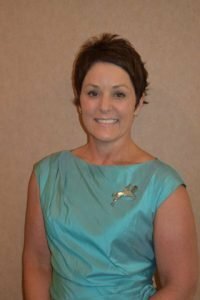 In addition to dedicating her time to patient care, Dr. Bales is a local and national speaker on various neurological topics. She also assists in training and educating medical residents and serves as a medical board examiner. Her special medical interests include headache, stroke, Multiple Sclerosis and Parkinson’s disease. Dr. Bales is a member of the American Board of Psychiatry and Neurology, American Medical Association, American Academy of Neurology, Indiana Neurological Society, Monroe/Owen County Medical Society, and Indiana State Medical Association.